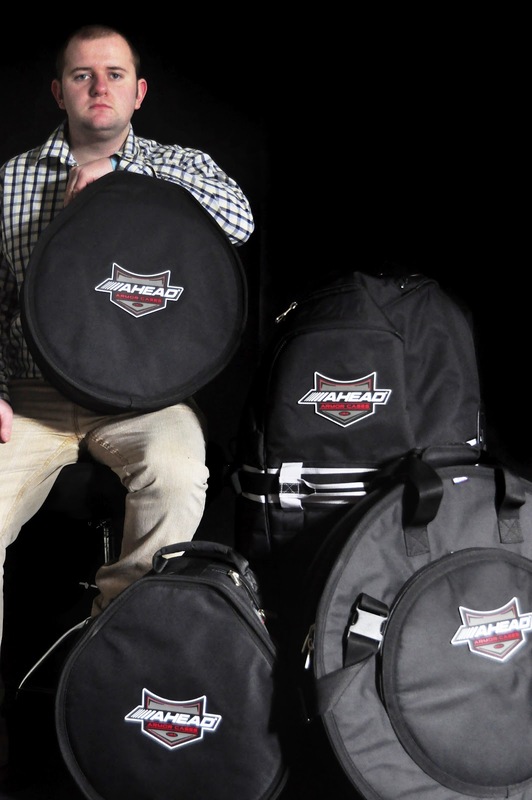 Drum N Base Hoop Protectors now in stock! LOS CABOS TO BR !! We are delighted to announce that we have taken on the distribution of Canadian drumstick manufacturers Los Cabos in the UK and Ireland. 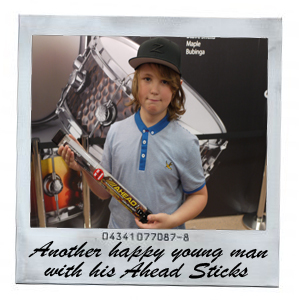 We are excited to work with them and to work with retailers to get it into the stores and begin to compete with the big names in drumsticks. We are able to offer great deals to those retailers interested in becoming main dealers of the product. Los Cabos produce drumsticks from Maple, White Hickory and most interestingly Red Hickory. This creates a much stronger stick, perfect for all you hard hitters out there! They produce a stick for just about anyone's needs even Kids! Check out the gallery for some pictures of these fantastic stick, webpage coming soon ! We are currently working closely with Chalklin to help them create a dedicated website which will hopefully de-mistify a range of products which can sometimes be overwhelming to the layman. The fact is that over the years Chalklin Percussion Mallets have been a great seller without ever being advertised. A big part of it's success has stemmed from the knowledge of the customers who buy the product, and their knowledge can sometimes surpass our own knowledge of the product. We are hoping that with the new website we can provide an extremelly clean and clear catagorisation of the whole Chalklin range with all of the informatin you will ever need on the product right there on the page. That probably sounds like the definition of just about any product website, granted! But, because a lot of us (customers, retailers and ourselves) have very little experience in the world of Orchestral music, we believe it is even more important for this range to have clearly presented info for each model. So you'll know immediately when you look at a product on the site not only the sizes and spec of a mallet, but also the instruments it is used for and the situations/context it is to be used in. Theres nothing worse than when you're trying to help a customer but you just don't have the product knowledge to guide them in the right direction, we've all been there! So the aim is quick, concise info presented in easy to navigate way. If any of you have any ideas and suggestions we'd love to hear them. This site is for you guys so it'd be great if you could have a hand in it. From A Short Warm-Up To A Full Work-Out, Ahead’s Portable, Practical “Strap-On Pad” Is Practice Made Perfect. The new “Strap-On Pad” from Ahead has been developed to offer drummers and drum instructors a more portable alternative to conventional practice pads as well as a reduced-volume, practice instrument for drumset, concert and marching drumming. Featuring a top-quality, gum-rubber playing surface that provides a natural feel, the pad’s stick response and controlled volume lets drummers and teachers focus greater attention on technical and musical development while also supporting hearing protection. The “Strap-On Pad” is quickly and easily secured to a player’s upper leg using Velcro™ straps; eliminating the need for stands or table-top surfaces while accommodating both traditional and matched grip. In this convenient position the pad can be used for pre-show warm-ups, daily work-outs, lessons or solo and sectional rehearsals at home, in the studio and on the road. 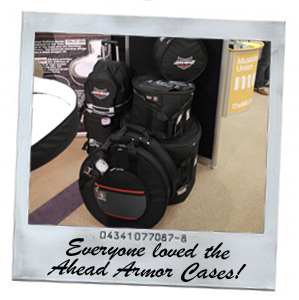 NEW AHEAD ARMOR BAGS IN STOCK! A belated happy new year to you all! Just a quick blog today to introduce you all to a buunch of fantastic new Ahead Armor percussion and utility bags that are now in stock. The bags include Djembe, Cajon and Bongo bags and have the same specs as the kit bags using sherpa fleece lining and the dyna zips and incorporating ruck sack straps wherever possible. Check them out! So we've been keeping busy setting up some displays in local shops. Firstly Newcastle Drum Centre added to their already extensive DG Cajon stock and we payed the guys a visit and helped install a small display. Like wise over at Drum Shop UK where we again installed a DG Cajon display as well as a fantastic Ahead Armor Case display. Lars Ulrich, the world famous stickman for Metallica, is an artist who stays loyal to the companies and products he endorses. This includes Ahead – the maker of hybrid drum sticks that marry aluminum and polyurethane for longer durability and reduced vibration shock. Now, after many years using his signature Ahead model, Lars has helped design his new line of ‘Scary Guy’ drumsticks. A cross between Ahead’s classic 5B and 2B models (16" x .595"/58g and 16" x .595"/64g, respectively) and the popular Lars Ulrich signature stick (16.25" x .595"/65g), the new sticks feature a hand-drawn icon created by Metallica’s legendary drummer and Rock And Roll Hall Of Fame inductee. Scary Guys are now available in a choice of two models: the LU-SG Standard with silver logos (16"x.595"/64g) and the LU-SGL Light with red logos (16"x.595"/58g). At £31 RRP you could be forgiven for thinking that these sticks are on the expensive side. But when you look at the fact that these stick will last on average 8-10 times longer than a wood stick, you’ll see that saving money is just one of the benefits these sticks can offer! Another enjoyable London Drum Show came to an end yesterday. Our 3rd in 3 years and probably our most benificial for showing the trade and public new product and seeing some old and new faces in the industry. Here are our highlights from a fantastic weekend on the BR Distribution stand. It has only been a couple of months since we started distributing these beautiful hand made, Spanish Cajons and there was a general feeling that we may have been too late to the Cajon party with so many other brands on the market. What we found this weekend was a huge interest from young and old, beginner to seasoned percussionists. It was made clear that although there are many brands of Cajon out there, this market is still very new and consumers are open and unbiased towards these fun, portable percussion boxes. We had the very talented Tom Chapman (DG Endorsee and Percussionist for Urban Folk Quartet) Demoing the Cajons. It really is amazing the depth of sound that you can drag out of the Cajon and Tom showed onlookers how it was done. 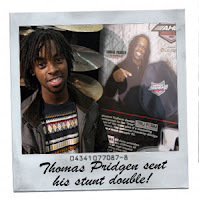 Poogie Bell (Chaka Khan, Luther Vandross, Roberta Flack, Marcus Miller, Stanley Clarke, Erykah Badu, David Bowie, John Scofield, David Sanborn, Angelique Kidjo, Joe Sample, Al Jarreau, Vanessa Williams, Stanley Turrentine, Victor Wooten, Randy Crawford, and many more) stopped by the stand on Sunday for a meet and greet. Poogie has been an endorsee of Agop cymbals for many years and is now playing the new ART20 range. Poogie is a perfect example of the type of person that Istanbul Agop like to have as part of their family. 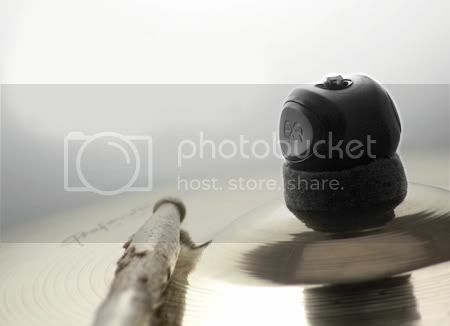 A lovely guy who is passionate about the sound of the cymbals. Thanks also to all of Poogies fans who left the stand delighted having met the man himself. A year on from launching the product at LDS '11 it was amazing to see how the brand has established itself in such a short space of time. 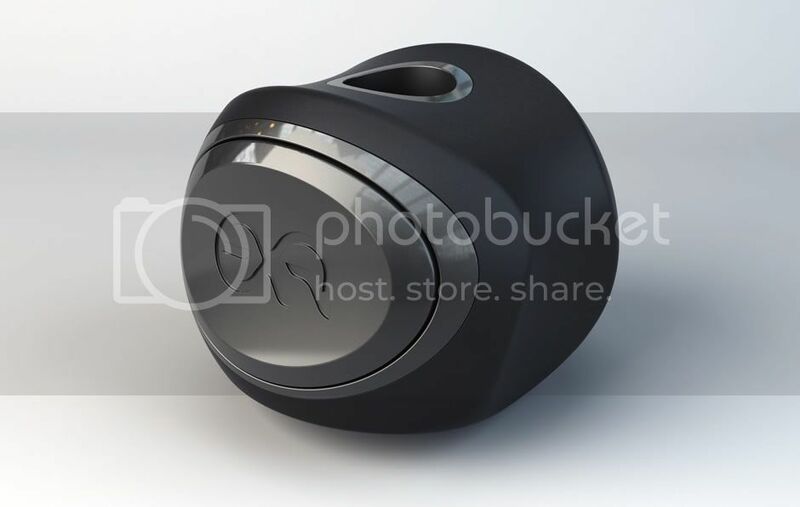 We received so much great feedback about the design, quality, protection and price of the product. A lot of praise must go to the UK retailers who have really gotten behind the cases over the past year. (A special 1st year anniversary deal is on its way for you guys so stay tuned). Lee Mullen (Percussionist for George Michael) is the latest name to join the Ahead Armor roster. Lee has been all over the world with George and couldnt be happier with the reliability of Ahead Armor Cases. We took 3 beautiful Craviotto snare drums to the show this year. 14" x 5" Poplar, 14" x 6.5 Red sparkle laqcuer and Metal Masters (brass & copper). 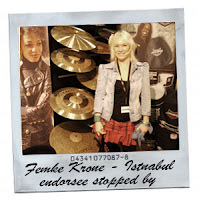 The response as expected was amazing and had customers and drum builders drooling at the stand. Craviotto is regarded as one of the worlds best solid shell drums and its easy to see why. The craftsmanship of Johnny Craviotto can be seen in every inch of these drums. A big thank you to everyone who came to the stand. It was great to talk to so many people and get such positive feedback. See you all next year! Very soon we'll have a fantastic new product on our shelves, a real treat for all those who love a nice bit of engineering!! Its the "CoolMount" from Noble & Cooley. Fittable (is that a word?) to our DSS and Gauger mounts, this little badger makes mounting your toms to your hardware an absolute doddle! 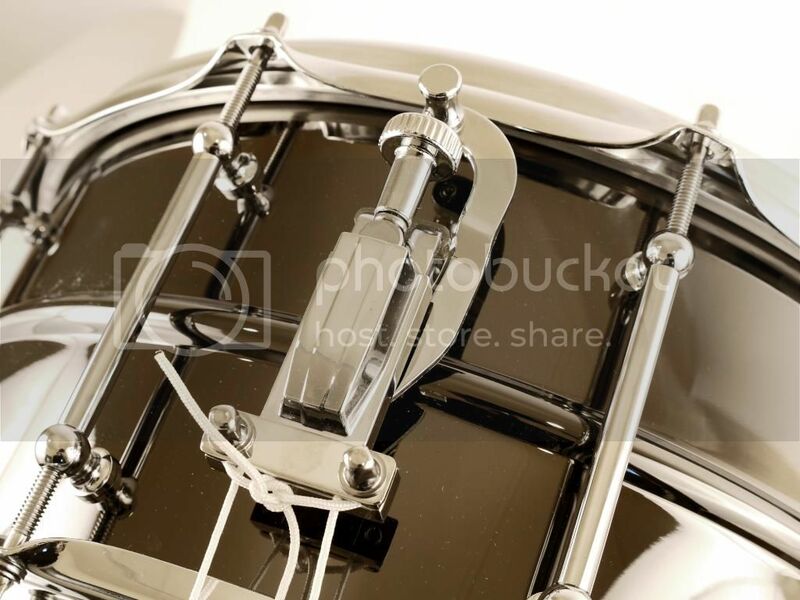 This innovative, lightweight aluminum tom mount reduces the time it takes to setup and tear down your kit by removing the need for drum keys, wing nuts, and memory locks to setup your drums. Simply lock down the mount to the stand one time and drop your tom in place with no tools required for the exact same setup gig after gig. The mount is designed to work with most suspension systems and any "L-arm" style tom stand. The CoolMount will now come standard on all Noble & Cooley drum kits and be available individually at retailers to upgrade your kit. This Gorilla Snot stuff has been around for years, and by all accounts it's very very popular! So when we were offered the product we thought 'aye, go on then' without really realising just how popular it was. So far we've had a massive response to the stuff and long may it continue! Well the last week and a half has been very interesting for us. As with many homes and businesses across the UK we were hit by the flash floods of Thursday 28th. It was just after 4pm when the first bucket load came down. And it was just when we thought we'd stemmed the flow that the 2nd helping swept in to the warehouse! There was a mad panic as we scrambled to get gear off the floor and up on to the shelves. To maximise efficiency, i pretended we were in the rainforest zone of The Crystal Maze. Luckily we managed to save most of the stock, but as always with these kind of things, some gear was caught by the water. So now the carpets are out and we are gearing up for a bit of redecorating in the offices. Christine's eternal optimism is turning this surprise disaster in to a chance to spruce things up, and we have been able to keep the orders flying out the door so its not all bad. On a much more positive note, DG Cajons have been going great since we brought them in just over a month ago! Many of you will be familiar with the brand, it's been doing the rounds in the UK for some time now. In terms of taking on a new product this has been a great bonus as most of our retailers are already pretty clued up on the fantastic range DG offers. 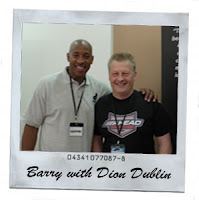 Over the past year we have had the honour of meeting some fantastic players and people. We've also had the added bonus of some of these great guys becoming endorsees for our top lines. So check out some of the guys below! playing beyond his own comfort zone. constantly seeks to improve his performance and techniques. is also able to consult on arrangements and song writing. / Pop covers, Soul, Soundtrack, Swing. March 2012, a chance for Rick to play new venues and to new audiences. able to adapt to many styles. achievable. He is available for session work from 2012.
as the Academy of Sound and appeared in Sound on Sound Magazine and the mikedolbear.com website. The All New 14" x 6.5" WorldMax Fully Loaded Black On Brass! ALL THIS DRUM FOR £249 RRP! If you've never had the pleasure of playing a WorldMax snare drum then you've been missing out on one of the best kept secrets in the industry. 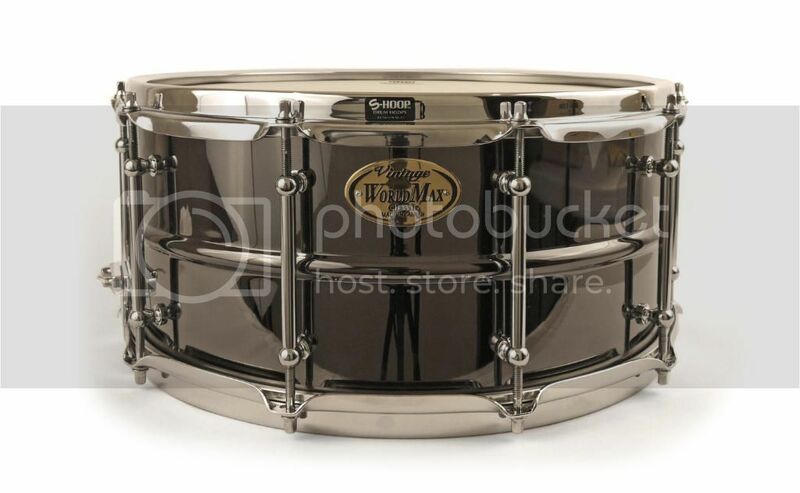 Since 1991 WM have been creating snare drums so good that they have no right to be as cheap as they are, and now we have another fantastic addition in the way of the FULLY LOADED BLACK ON BRASS! The Fully Loaded is based on the design of the original WM Black Brass but with some great additions. 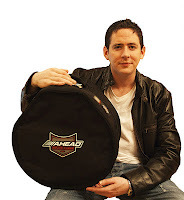 The Fully Loaded comes with 10 lug S-Hoops, the most innovative drum hoop on the market. S-Hoop's unique design saves your stick and gives a tuning rigidity that is equal to that of a die cast hoop but with a fraction of the weight as not to choke the sound. Best of all they look great too! The Fully Loaded also features a snare wire upgrade. 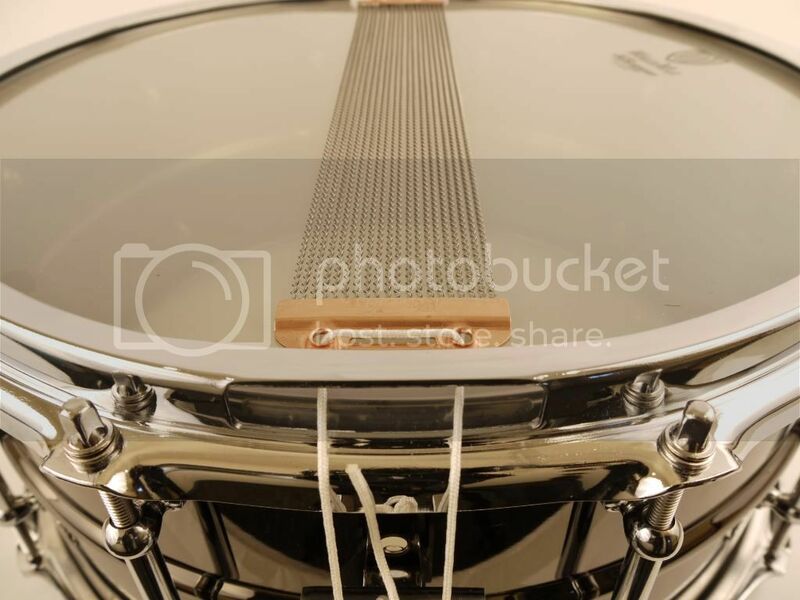 The PureTone snare wire utilizes copper end caps & wires which are 90% Carbon for a cleaner tone. PureTones also include string ties rather than a standard plastic strip. 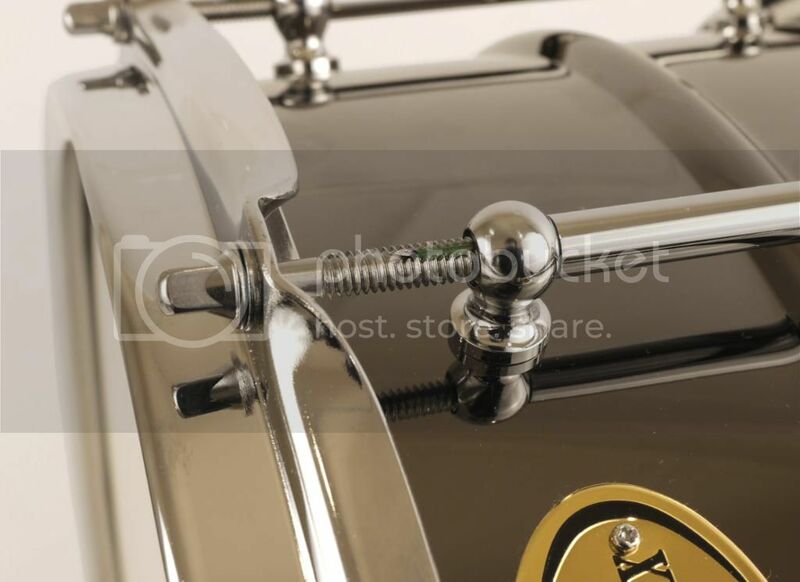 To counteract any de-tuning problems a player may face, the Fully Loaded features 4 Ahead "Tight Screw" tension rods in place of regular tension rods situated along the area of the snare drum most prone to rim shots. Aheads patented T-Rods have a nylon strip fitted along the line of threads which locks the rod in place. This eliminates the problem de-tuning area of the drum. The S-9 strainer has been replaced with its bulkier big brother, the S-10. A great strainer which, along with the tube lugs, sets off the classic look of the drum. The shell itself is beaded with a black chrome (not powder coated) over brass finish for additional quality. 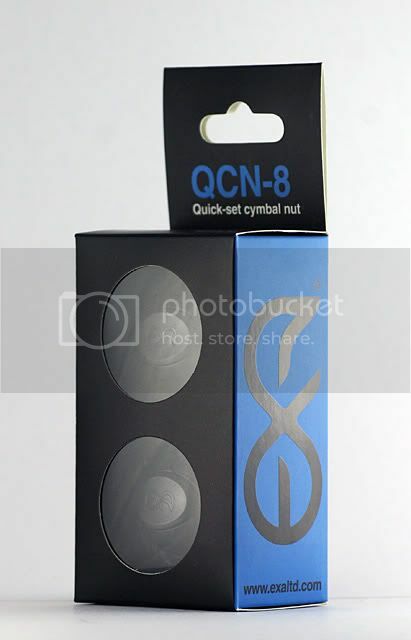 A great addition to anyone's snare collection at a price level that any play would consider a steal! 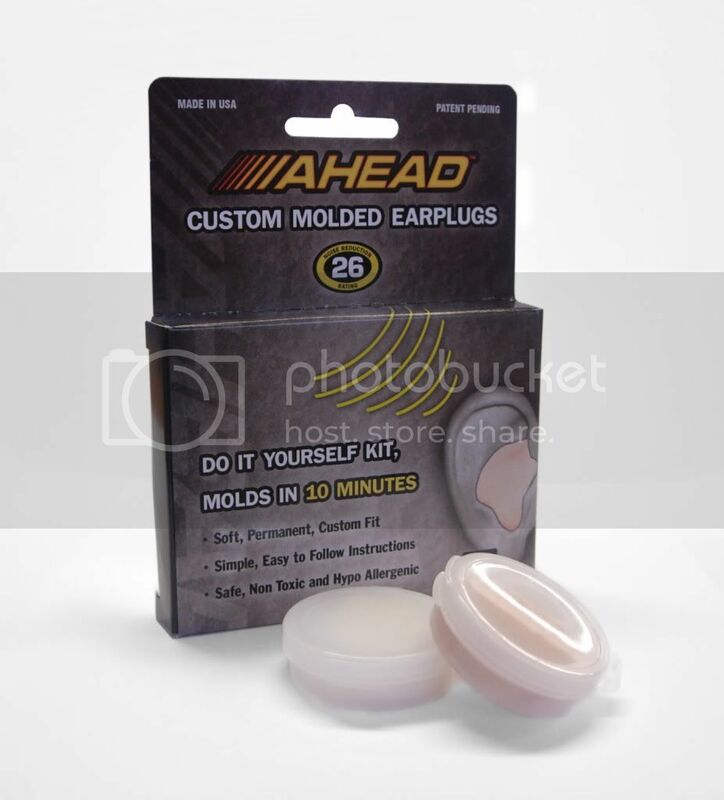 AHEAD Custom Molded Earplugs Are The New Standard For Protection. 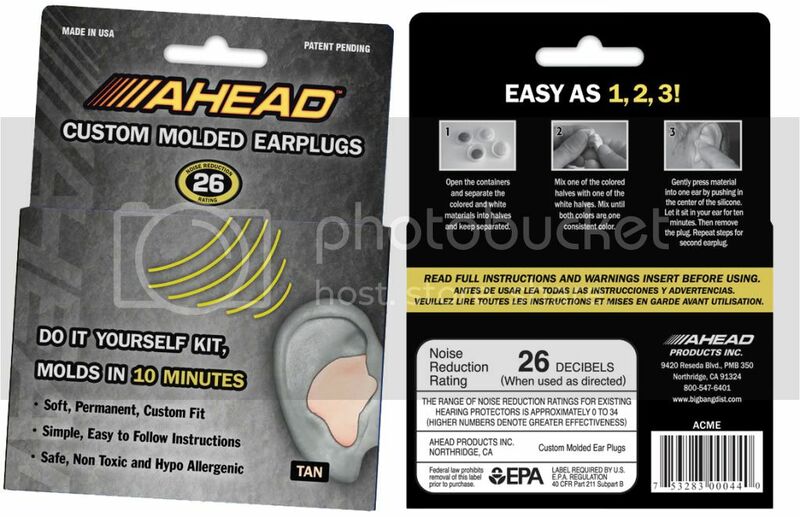 With this innovative new product, it takes just 10 minutes to create your very own custom molded earplugs at a fraction of the cost of a standard custom earplug. It takes just 3 easy steps to prep, mix and fit your ear mould “putty” then you simply wait for 10 minutes while your custom ear molds set. Then you have a set of soft, comfortable & effective earplugs that fit your ears perfectly! With hearing protection being critically important for music players and listeners of all ages and applications, new AHEAD Custom Molded Earplugs (ACME) are a great way for drummers and other musicians to safeguard their ears in high-volume situations. Non-toxic, hypoallergenic and EPA-approved, ACME earplugs allow users to safely, quickly and conveniently create a personal set of soft, silicone earplugs at home, in the studio or on the road. And, at a suggested retail of just £26.99 the innovative, easy-to-use accessories offer greater comfort than foam earplugs at a fraction of the cost of custom-fitted earplugs. ACME earplugs have a Noise Reduction Rating (NRR) in the 25-30 dB range, which is especially significant for drummers. According to the National Institutes Of Health, prolonged exposure to sound at 85 decibels (dB) can cause short-term auditory damage while sounds at 120 Db and above can cause painful and permanent hearing loss. Since drumming often reaches or exceeds these dangerous volume levels, ACME’s 26 dB reduction provides immediate and long-term protection. Recommended by top drummers and leading specialists, AHEAD Custom Molded Earplugs are available at leading drum shops and music stores and distributed exclusively by BR Distribution in the UK. Stylish, cheap and easy to use! 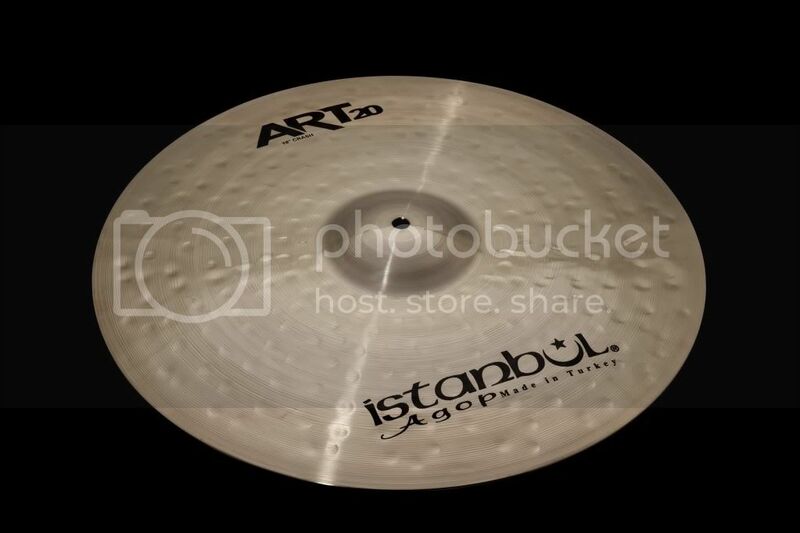 Every IstanbulAgop ART20 series cymbal is cast with our own special B20 alloy by our master artisans in Istanbul, Turkey. 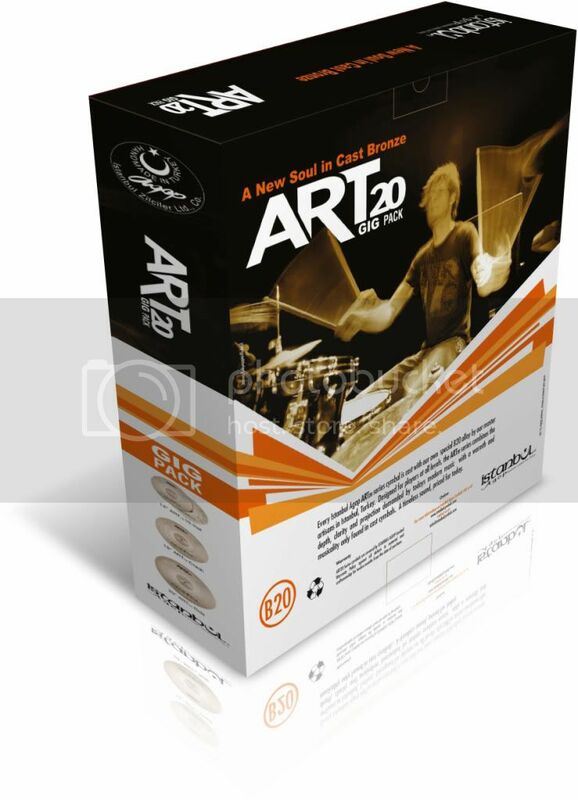 Designed and for players at all levels, the ART20 series combines the depth, clarity and projection demanded by todays modern music with a warmth and musicality only found in cast cymbals. A timeless sound, priced for today. Our artisans used irregular , big hammer patterns to help the cymbal maintain its warmth and musicality while providing a less distorted surface for a clean sound. This technique results in a delicate, articulate stick sound with a clean,defined attack in every volume setting. Another technique that our artisans used is the high speed lathing which gives the cymbal its smooth and silky texture. As a result of this process, the projection of the ART20 series is greatly enhanced. These features make the NEW ART20 Series a great all –rounder in todays modern music! Which Sizes and Models are Available? These models are available in Brilliant Finish and Medium weight only. 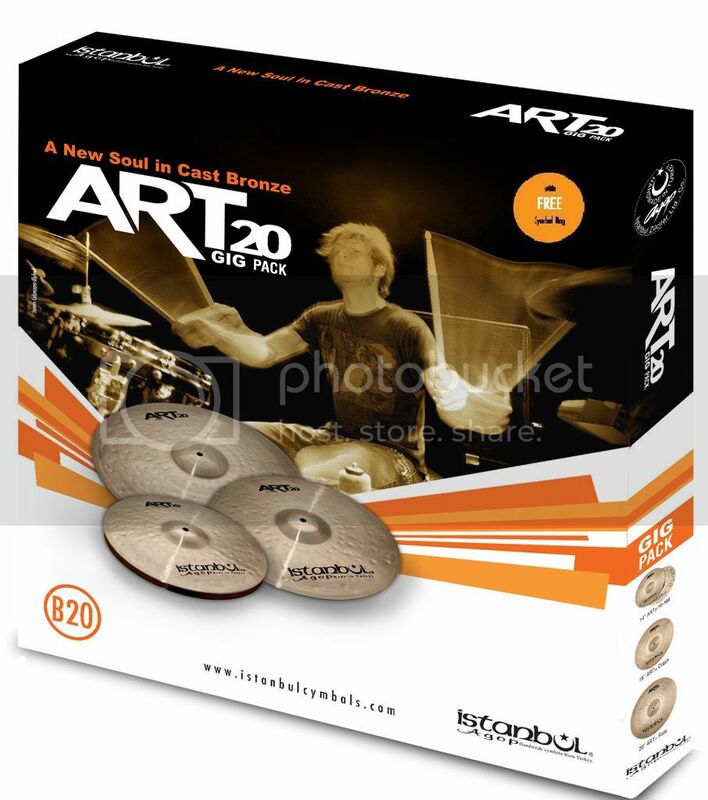 ART20 Series cymbals are covered by ISTANBULAGOP Limited Warranty Policy against all defects in material and craftsmanship for twelve months from the date of purchase. The Saturday got off to a great start as me and Barry got to meet Dion Dublin on his 'Dube' stand which was next to ours. Although (being Newcastle fans) we've never forgiven him for scoring 'that' goal against Shay Given it was great to meet him and a nice way to kick off the show. 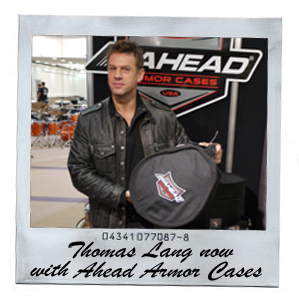 A major factor in us attending the show this year was to push our new line of Ahead Armor Cases and we were honoured to have new endorsee Thomas Lang stop by our stand for a chat and to meet some fans. 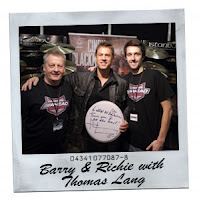 We're chuffed to have Thomas Lang on board with the bags, it will hopefully draw some well deserved attention to a great line of drum bags. We're expecting big things with Armor this year and everyone we spoke to was really positive and excited about this great new line. We had 3 stands full of beautiful Istanbul Agop hand hammered cymbals and the response was amazing. 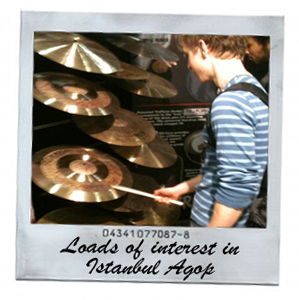 Sometimes in distribution it's hard for us to gauge the public perception of a product so it was fantastic to meet so many drummers who were genuine fans of Istanbul Agop. 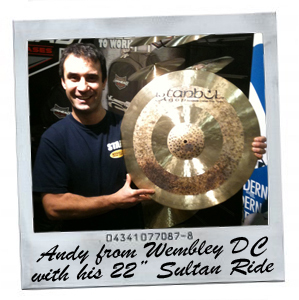 We also had lots of people who'd never seen the brand before comment on how nice they thought the cymbals were. 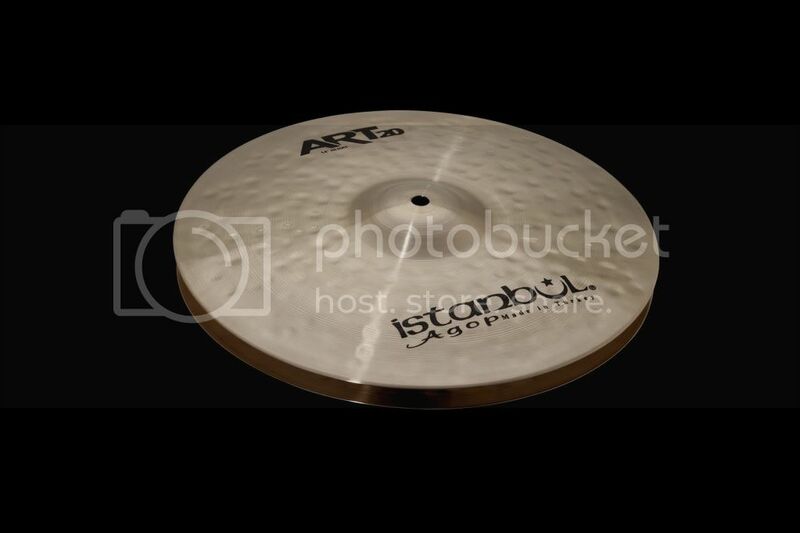 Since returning from the show we've also learned that there is to be a new line from Istanbul Agop which will probably be launched at NAMM in January so plenty to look forward to with Agop. 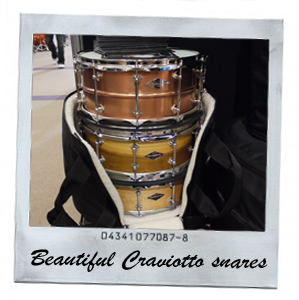 The selection of Craviotto snare drums we took with us generated an amazing amount of interest! We had guys who'd been at the show last year turning up just to see what Craviotto we'd have on show. The copper diamond series stole the show but the solid shell Poplar and Birdseye Maples created a good contrast and displayed the versatility of the Craviotto brand. As always it was great to see our long suffering retailers! Some of whom we've never met before, it's always good to put a face to a name. All in all the show was a resounding success and we're already looking to next year and thinking of what we can do. A big thank you to everyone who dropped by the stand and showed an interest in our products. See you all next year i'm sure!